Last week, I already looked at foreign players that improved the level of play of the American Soccer League (1921-1931). Today, it’s time for the second part. With lots of Scottish and Hungarian players, and also some skilled Scandinavians and one single Dutchman. The success of the ASL can be compared to the NFL, the one with the nice outfits and the strange ball. That league was also just starting to get big. It’s surprising to see that attendances for soccer matches equalled the crowds of the NFL, and often even surpassed them. It’s because of internal problems of the soccer league itself and different American soccer associations, that Americans now consider American Football as their national sport. It could easily have been the other way around. Now, let’s continue with the countrywise index of foreign players in the ASL. While hundreds of Scottish soccer players entered the ASL, it’s the Hungarians that probably provide the highest average quality. Attracted by the money, the good life and the lack of anti-semitism in the United States, famous players like Laszlo Sternberg, Bela Guttman, Joszef Eisenhoffer, Kalman Konrad and Gyorgy Molnar all got on board to cross the ocean. 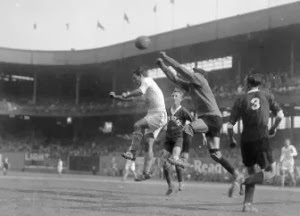 The list below contains fifteen players, most of them Jewish, just like the Austrians, and most of them also playing for Brooklyn Wanderers, New York Giants and later Hakoah All-Stars. Dutchman Gerrit Visser played for Stormvogels in the Dutch league, from the city of IJmuiden. As an inside right he played seven international matches, four of them during the Olympic Games in Paris. Visser emigrated to the United States in 1925. Not to play soccer, but to start a new life. Six months later, he appears as a stand-in for Bethlehem Steel’s top striker Archie Stark, who is injured. After three matches (and four goals!) Stark returns and Vissers playing days at the ASL are over. Northern Ireland also had a few players that were interested in playing in the ASL. For example James Harry Chatton, who played in Scotland for Partick Thistle. Then Idiana Flooring offered him a contract. A year later Chatton (three caps for Northern Ireland, three for the Republic of Ireland) moved to New York Nationals. In total Chatton played 145 ASL-matches (1 goal). Coming back from the States he played for Shelbourne, Dumbarton and Cork FC. Billy Pitt had five different clubs in the ASL, among others Fall River, Bethlehem Steel and Pawtucket Rangers with 187 macthes (1 goal) to show for it. Striker Jimmy McAuley was a player at Ards FC, when he signed a contract with Philadelphia Field Club. He soon changed to Fall River, with whom he became ASL-champion in 1929 and 1930. In total, McAuley played 167 ASL-matches and scored 49 goals. Whitey McDonald was born in Omagh, but raised in Canada. He played four seasons at Bethlehem Steel. Then Scottish club Glasgow Rangers toured Canada and the States and they offered McDonald a contract. He stayed with Rangers for ten years and also collected two caps for Northern Ireland. Michael Hamill was already famous when he was signed by Fall River. He had been playing for Manchester United, Celtic and Manchester City and earned seven caps for Ireland. He played two seasons for Boston Wonder Workers (66 matches, one goal) and one match for New York Giants, before rerturning to Europe in 1926. Already 37 years old, he still played another four seasons at Belfast Celtic. Willy Reid was a big name at Glentoran, before being picked up by Bethlehem Steel. He played four seasons (86 matches) for them, after that he went to Scotland, to play for Hearts of Midlothian, later Dundalk and Distillery. He gained one cap for Northern Ireland in 1930. One of the really big stars of the ASL hails from Norway. 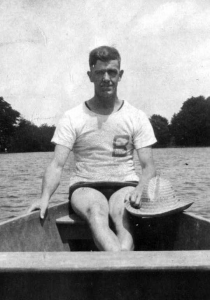 Werner ‘Scotty’ Nilsen moved to the United States in 1923. After a few years at minor clubs, he was picked up by Boston Wonder Workers in 1926. Nilsen hardly missed a match in three years for the club, scoring 70 goals. 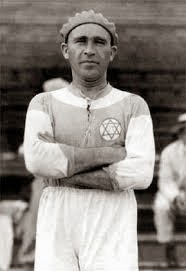 His 43 goals in 1928-29 earned him the Golden Boot, together with Hungarian Janos Nehadoma (Brooklyn Wanderers). A year later he was ASL-champion with Fall River. In total Nilsen scored an amazing 131 ASL-goals, placing him tenth in the all-time list of goalscorers. 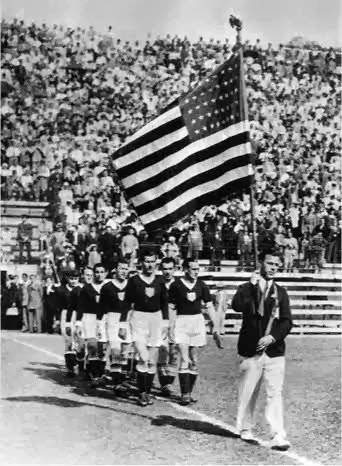 Nilsen earned two caps for the United States, the second one during the 1934 World Cup, losing to Italy in the first round. There was also a Murphy Nilsen playing for Boston Wonder Workers (8 matches, 0 goals) and Boston Bears (8 matches, 1 goal). As he was, just like Scotty, born in Skien, Norway, this must be Scotty’s younger brother. Reidar Hoilund is Norwegian number three, playing just a few matches for Indiana Flooring and Boston Bears. From the Republic of Ireland-players that undertook an American soccer adventure, a few pop out, first and foremost Bob Fullam. Forward Fullam started playing for Shelbourne, before moving to Shamrock Rovers in 1921. One season later, in 1922-23 he was crowned top goalscorer of the league, with 27 goals. He even earned his own catchphrase: ‘Give it to Bob’. His good performances got Leeds United’s attention, but that adventure didn’t work out. Back at Shamrock Rovers he was happy again. In 1927 Philadelphia Field Club was looking for new players in the Irish Republic. Fullam was picked, but an ownership conflict shortened his American league to just one season and only 5 matches (3 goals). Fullam’s teammate at Shamrock Rovers, Dennis ‘Diny’ Doyle, stayed a bit longer; he went from Philadelphia to Fall River and collected two championship medals. Season 1928-29 as a regular in the team, a season later just playing three matches, after which he was transferred to Pawtucket Rangers. In five seasons Doyle played 151 ASL-matches and scored one goal. Larry Kilroy, playing for Bray Unknowns, was another Irish player that was tempted to play in the States by Philadelphia Field Club. Just like Fullam, he only stayed one year, playing 9 matches (1 goal) for Philadelphia and 8 matches (no goals) for Pawtucket Rangers. Four years before the mentioned three players, goalkeeper Dave Carson already crossed the ocean to play for Bethlehem Steel. He did so at least until December 1925, when he was performing so badly that he was replaced. To be fair, his first two seasons at Bethlehem Steel were no less than great. After this last mishap, Carson still got some playing time as a goalie at Springfield Babes and Bridgeport Hungaria/Newark. Where would the ASL have been without Scottish players? While other soccer countries proudly point at five, maybe ten players that made a difference in the roaring soccer twenties, Scotland easily has one hundred to show for, or even two hundred. Which immediately makes it impossible to take a look at them all. So, I’ll just honor a bunch of them. I will focus on Scottish players that already had a career in Scotland before they came to the States, and on those that made a name for themselves in the ASL, and were picked up by Scottish clubs to play in Europe. With these criteria, al lot of Scottish players are scratched from my list as they already came to the United States as a child. Among them the perhaps best striker the United States ever had, Glasgow born Archie Stark. Still - even with Lionel Messi and Christiano Ronaldo trying their best - holder of the world record of 67 league goals in one season, and best ever goalscorer in the ASL. Let’s start off the list with Tommy Muirhead, captain of Glasgow Rangers in 1924 and eight times Scottish international. Muirhead was asked by Boston Wonder Workers to come to Boston as player-manager. And although he only stayed for a year (homesick), it was proof that big Scottish players could be tempted to play in the United States. That also had a financial background: American clubs had higher wages, more than double from what was normal in Scotland. Mostly the American companies that owned the clubs, also provided good jobs for these players in their company. A year later Tommy Martin and Jimmy ‘Tec’ White form Motherwell were asked to join Fall River, and so were Charlie McGill (Third Lanark) en Bill McPherson (Beith). Together they were the backbone of Fall River, who came to be ASL-champions in 1925/26, 1928/29 and 1929/30. Especially Jimmy ‘Tec’ White was exceptional, banging in the goals (124 in 281 matches). Long before these five, Alexander Lorimer was tempted to make the journey. Lorimer had played just one game for Kilmarnock in 1920/21, but played 311 ASL-matches (55 goals) for a ring of US clubs (Philadelphia Field Club, Fall River, Shasheen Indians, New Bedford Whalers and Pawtucket Rangers. 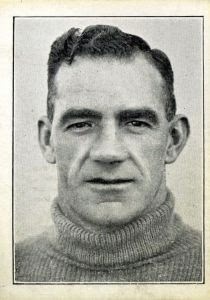 Scottish international goalkeeper Bill Harper (11 caps) spent five years at Hibernian (178 league matches), before Arsenal paid a record fee for him in 1925. After more than two years as Arsenals number one, Harper was dropped by manager Chapman. He got on a boat to New York, and won the league title with Fall River in 1928/29. After stints with Boston Bears, Boston Wonder Workers and New Bedford Whales, Harper returned to Arsenal in 1930. While playing for St. Mirren, Denis Lawson earned his only Scottish cap in a match against England in 1923 (2-2). A few months later he was contracted by Cardiff City where he played for three seasons. Then Springfield Babes lured him to the States. In season 1926/27 he played 23 ASL-matches (2 goals) for Springfield and another 16 (1 goal) for Providence Clamdiggers, before returning to England to play for Wigan Borough. 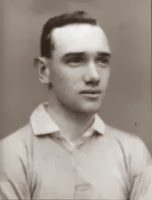 Johnny Ballantyne played three seasons (86 league matches with 16 goals) for Partick Thistle before accepting an offer from Boston Wonder Workers in 1924. With 146 matches and 50 goals he was an outstanding figure in the ASL. After those four years he went back to Scotland and collected almost another 300 league matches for Partick, Falkirk and Queens Park Rangers, to retire at the age of 36 years. One of the most famous of all Scottish players that tried their luck in the United States, is Alex McNab. Two times Scottish international McNab was playing for Greenock Morton, when they offered him four pound a week for the next season. McNab was disappointed and asked to be transferred. Although Greenock wanted an absurd transfer fee, Boston Wonder Workers made an offer. McNab could earn twelve pound a week in Boston, so he accepted. He had a great time in the ASL, collecting two league titles with Fall River and playing 283 ASL-matches scoring 61 goals. While his club Clydebank was relegated after the 1921/22 season, Malcolm Goldie left Scotland for an American adventure. Starting with Bethlehem Steel, with whom he won the ASL-title in 1926/27, moving to Fall River (champion 1928/29) and finishing with Pawtucket Rangers an New Bedford Whalers, Goldie collected 278 ASL-matches, scoring 63 goals. The most experienced Scottish player who came to the USA must have been Geordie Henderson. At 22 he joined Glasgow Rangers, and in the next eight seasons he played 170 league-matches, scoring no less than 123 goals and winning four Scottish titles along the way. In 1927 he was first transferred to Darlington, but quickly swopped the English Second Division for New York. With the New York Nationals he finished third in the league, scoring 11 goals in 32 matches and winning the National Challenge Cup. After just one year he returned to play another two years for Dundee United. Johnny Jaap was born in Scotland, but started his career in the USA. Especially with Bethlehem Steel he had a great career in the ASL. Not always a regular in the team, but still managing to play 132 ASL-matches (48 goals). And he was crowned ASL-champion four times: three with Bethlehem Steel, and the very first with Philadelphia Field Club. He also travelled to Scotland to play for Hearts for just one season, 1930/31. Before ending the Scottish part of the article, I’ll have to mention Barney Battles. Battles, born in 1905, emigrated to the United States when he was a teenager. There he started playing for the Boston Bears. At the age of 19, the Boston Wonder Workers wanted him. He played there alongside Johnny Ballantyne, Alex McNab en Tommy Muirhead. Three years laterBattles left Boston Wonder Workers with a total 116 matches and 41 goals under his belt. And with one cap for the United States, losing 1-0 to Canada in 1925. Battles returned to Scotland, to play for Hearts. Expectations were high, but Battles had no problems taking that challenge. He scored 31 goals in 28 league matches in his first season. Two years later he did even better with 44 league goals, while scoring a hattrick three matches in a row in November 1930. Of course that made him leading goalscorer of the Scottish league that season.He also earned a Scottish cap, scoring in a 1-1 draw against Wales. If it wasn’t for superstar Hughie Gallagher, Battles would easily have earned ten or twenty caps. While the real Swedish influence in the ASL was the work of just one man, there were others that gave it their best shot. For example Eric Larsson, playing for the New York Nationals and the New York Giants (in total 28 matches and 9 goals). Or Nils Nygren, who played just one fine year for Boston Wonder Workers (1928/29, 29 matches and 11 goals), Olof Johansson (10 matches for New York Nationals) and Dicko Magnusson, 14 matches and 1 goal in 1924/25 for Indiana Flooring . Thore Sundberg had two Swedish caps and came from AIK Solna to Fall River. He played 38 matches in the ASL, scoring 2 goals. George Gustafsson had three clubs in the States (Indiana Flooring, Newark Skeeters and Boston Bears), but only played 24 matches in three seasons. Second best in the Swedish list is without a doubt Kaleb Schylander. 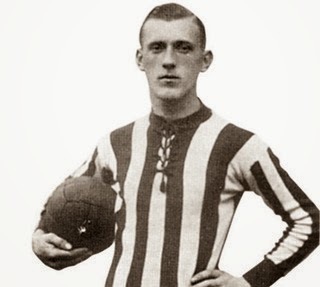 Seven times capped Schylander arrived from IFK Göteborg and spent four years playing for Indiana Flooring (1924 until 1927), making 97 appearances and scoring 24 goals. And then there was Herbert Karlsson, Swedens top striker and one of the first big names in the ASL. Karlsson was a lethal striker for IFK Göteborg and for his country. In 20 caps for Sweden he scored no fewer than 19 goals. In 1919 he scored a hattrick against the Netherlands and against Denmark, one year later at the Olympics in Antwerp he helped Sweden trash Greece 9-0 by scoring five times. In 1922 Karlsson emigrated to the United States (he wasn’t contracted by a club) and changed his name into Carlson. After a year at New York Vikings, Indiana Flooring lured him into the ASL. He had a great career and his 107 goals for Indiana Flooring, New York Nationals and New York Giants still rank him 15th in the ASL all time list of goalscorers.